Afternoon Tea Adventures presents a brand new Doctor Who audio drama in 3 parts. 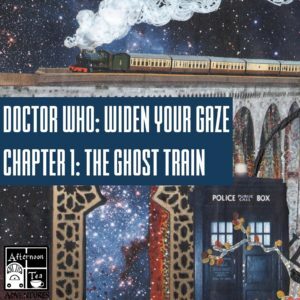 Doctor Who: Widen Your Gaze – a science fiction ghost story. Palestine 1975: The Doctor’s companion, under surveillance by CIA agents, writes a letter to her younger sister in New York City. England, 1955: a grieving father obsessively searches for the ghost of his dead son. Hyperspace, the 22nd Century: Something is threatening a community in thrall to an ancient alien technology, shrouded in myth and legend. As all three events collide, the Doctor finds herself in a bloodied life-or-death race to piece together an inter-dimensional mystery that threatens to tear open the divide between sanity and madness and the living and the dead. In a spectral, hostile darkness, sometimes the best thing you can do to survive is to widen your gaze. 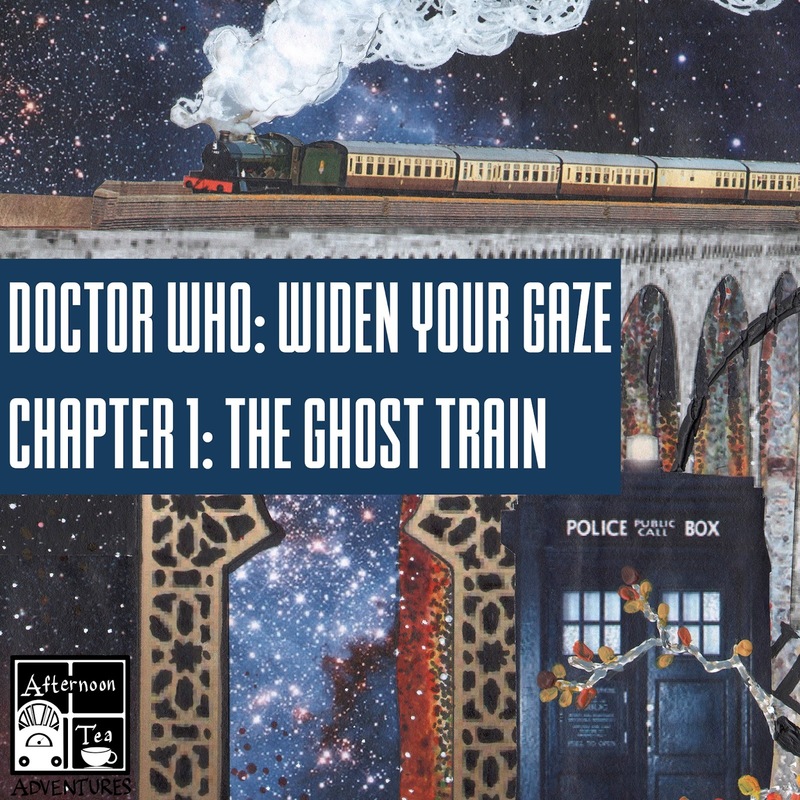 The Doctor and Julia are being followed by something inexplicable and inhuman, and in a deserted station along a lonely coastal railway line a ghost train is waiting for them. Afternoon Tea Adventures‘ Doctor Who series is a free, not-for-profit fan production and is in no way associated with the British Broadcasting Corporation. It was created as a celebration of the series, without intent to supersede or infringe on existing copyrights or intellectual property. Doctor Who, the TARDIS, and other registered sounds and concepts remain property of the BBC. This entry was posted in Audio, Series, Story, Video and tagged Afternoon Tea Adventures, Audio, Audio Drama, Doctor Who, Dr Who, Joe J Thomas, JoeActor.com, VO, YouTube by Joe's Dump. Bookmark the permalink.